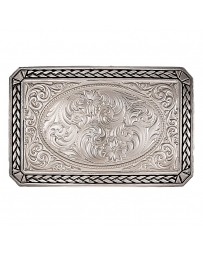 Small sized rectangle shaped belt buckle detailed with an etched braided trim in antiqued silver finish. 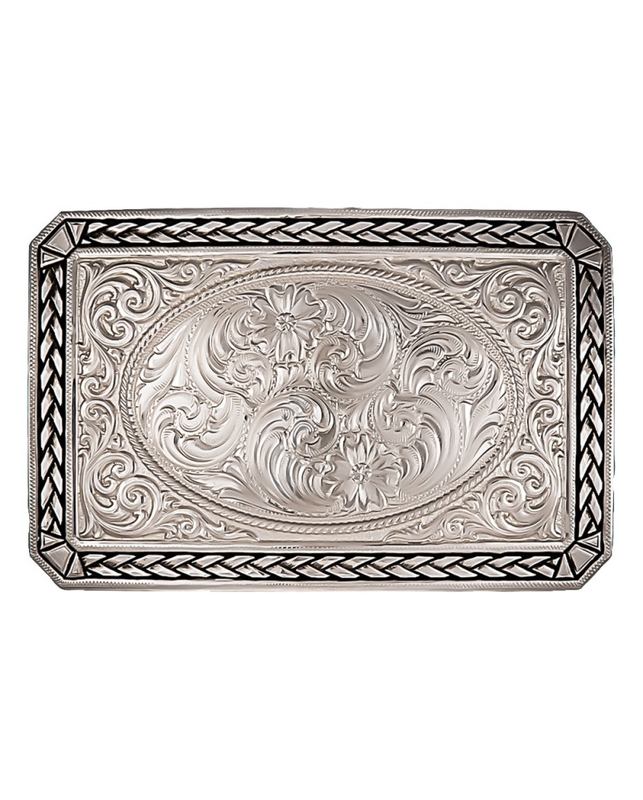 Deeply etched flowers and vines in traditional western style bright cut engraving are lightly antiqued, bringing out the amazing detail lending a vintage appearance. 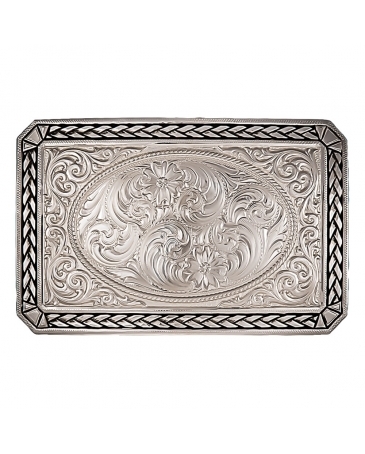 The finely engraved center oval is set with a silver finished figure of your choice. Standard 1.5" belt swivel. Dimensions: Width: 3.5" Height: 2.375" Length: 0.16"